The Web Marketing Association judges will select the best online newsletters of 2014 in 86 industries as part of their 12th annual Internet Advertising Competition (IAC) Awards. The IAC Awards are the first and only industry-based advertising award competition dedicated exclusively to online advertising. Companies or agencies wishing to nominate their work for consideration may do so at www.IACAward.orgbefore the deadline of January 31, 2014. The 2013 Best of Show winner for Online Newsletters was rabbit eMarketing GmbH for WWF fundraising email campaign. 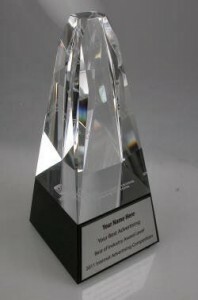 The 2014 Internet Advertising Competition Awards are open to all organizations and individuals (advertising and interactive agencies, corporate marketing departments, etc.) involved in the process of developing Internet advertising. Entries may be submitted online at IACAward.org. The deadline for entry is January 31, 2014 and will be judged on design, creativity, impact, innovation, copywriting, and use of the medium. In an effort to recognize those organizations that demonstrate exceptional development skills across multiple entries, agencies that win more the 6 awards will also be recognized with an Outstanding Advertising Developer award from the Web Marketing Association. In 2013, nine agencies won this honor. The Web Marketing Association judges will select the best social media advertising campaigns in 86 industries as part of their 12th annual Internet Advertising Competition (IAC) Awards. The IAC Awards are the first and only industry-based advertising award competition dedicated exclusively to online advertising. Companies or agencies wishing to nominate their work for consideration may do so at www.IACAward.orgbefore the deadline of January 31, 2014. “Marketers using social media, like Facebook and Linkedin, to engage consumers is exploding,” said William Rice, president of the Web Marketing Association. Using either apps or pages can an effective advertising tool to build brand awareness and engage consumers using social media. The IAC Awards provides an opportunity to show the world your expertise in this emerging field. It’s also a great marketing opportunity for the winners to promote their work to senior management, customers and prospects”. The 2014 InternetAdvertising Competition Awards are open to all organizations and individuals (advertising and interactive agencies, corporate marketing departments, etc.) involved in the process of developing Internet advertising. Entries may be submitted online at http://www.iacaward.org. The deadline for entry is January 31, 2014 and will be judged on creativity, innovation, impact, design, copywriting, and use of the medium. VML won Best of Show Social Media campaign in the 2013 Internet Advertising Competition Awards for RevlonExpression Experiment, which also won Best Consumer Goods Social Media campaign. Judging for the IAC Awards will take place in February, 2014, and winners will be notified by e-mail in March, 2014. Judges will consist of a select group of Internet advertising professionals with an in-depth understanding of the current state-of-the-art in Web advertising. Past competition judges have included top executives from leading corporations, institutions and media organizations such as Arc Worldwide, BGT Partners, Brunner Digital, Campbell-Ewald, CNN News Group, Deep Interactive Asia, Digitas, EuroRSCG 4D, Google, IBM Interactive, imc2, JWT, LeapFrog Interactive, Mass Transmit, McCann Worldgroup, Razorfish, Starwood Hotels & Resorts, Tectis GmbH, TMP Worldwide, Universal McCann Interactive and Wunderman / Y&R. The Web Marketing Association judges will select the best online video advertising in 86 industries as part of their 12th annual Internet Advertising Competition (IAC) Awards. The IAC Awards are the first and only industry-based advertising award competition dedicated exclusively to online advertising. Companies or agencies wishing to nominate their work for consideration may do so at www.IACAward.orgbefore the deadline of January 31, 2014.
bswing won Best of Show Online Video in the 2013 Internet Advertising Competition Awards for Twig the Fairy, which also won Best Entertainment Online Video. The 2014 Internet Advertising Competition Awards are open to all organizations and individuals (advertising and interactive agencies, corporate marketing departments, etc.) involved in the process of developing Internet advertising. Entries may be submitted online at http://www.iacaward.org. The deadline for entry is January 31, 2014 and will be judged on creativity, innovation, impact, design, copywriting, and use of the medium. Interactive agencies that win multiple awards will also be in the running for Top Agency Award. In a change from prior years, each entrant will be awarded points based on the level of award for each award received. Judging for the IAC Awards will take place in February, 2014, and winners will be notified by e-mail in March, 2014. Judges will consist of a select group of Internet advertising professionals with an in-depth understanding of the current state-of-the-art in Web advertising. 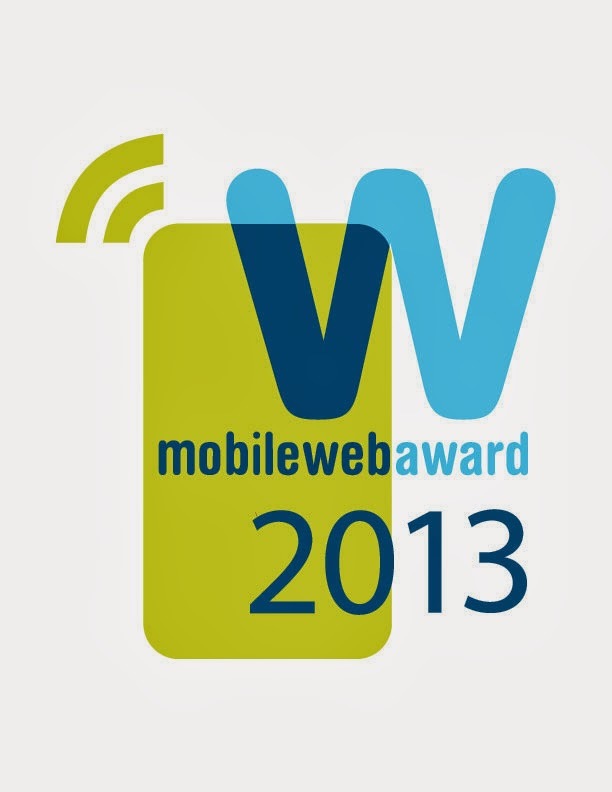 The Web Marketing Association is pleased to announce the winners its second annual international MobileWebAward competition. This award program recognizes the individual and team achievements of Web professionals all over the world who create and maintain the best mobile Websites and the best mobile applications. The complete list of winners can be found at www.mobile-webaward.org. UBM Design Centraland ARM won Best of Show Mobile Application for Signum, which also was awarded Best Electronics Mobile Application. Signum is a great example of how electronic publication is changing the reading experience. The quarterly e-mag uses hyperlinks, animation, and embedded video to create a highly interactive experience for the reader. Huge and Newsweek won Best of Show Mobile Website for The Redesigned Newsweek.com, which also was recognized as Best News Mobile Website. Newsweek tasked Huge with developing a digital experience that leveraged the best elements of its digital-savvy sister publication, The Daily Beast, while preserving a distinct look-and-feel that would stay true to the Newsweek brand. Aperto Move GmbHof Berlin, Germany was named Top Interactive Agency for the second MobileWebAwards competition in a row. They received 9 awards, including: Best Investor Relations Mobile Application, Best Catalog Mobile Website, Best Directory or Search Engine Mobile Application, Best Environmental Mobile Application, Best Toy & Hobby Mobile Application, Best Events Mobile Website, Best Game Site Mobile Application, Best Government Mobile and Best TV Mobile Website. Risdall Marketing Group was named an Outstanding Mobile Interactive Developer for receiving 8 MobileWebAwards in this year’s program. The 2013 MobileWebAwards are sponsored by the following leading organizations: BGT Partners, Burst Media, EContent Magazine, ExactTarget, ad:tech conferences, Internet World UK, SES Conferences, Webmaster Radio, and Website Magazine. The Web Marketing Association thanks these companies for their commitment to the entire online marketing community. The Web Marketing Association announces the Call for Entries for the 12th annual Internet Advertising Competition (IAC) Awards. The IAC Awards are the first and only industry-based advertising award competition dedicated exclusively to online advertising. This international award program will evaluate all forms of online advertising, including email, page-based ads, online newsletters, mobile apps, Websites, video and social media in 86 industry categories. The Competition Web site is located at www.iacaward.org and the deadline for entry is January 31, 2014. The Internet Advertising Competition Awards are open to all organizations and individuals (advertising and interactive agencies, corporate marketing departments, small business owners, etc.) involved in the process of developing Internet advertising. Entries may be submitted online at http://www.iacaward.org. The deadline for entry is January 31, 2014 and will be judged on creativity, innovation, impact, design, copywriting, and use of the medium. Best of show award for each format will be selected from among the industry winners. Ads eligible for entry in the competition must have run during the period from January 1, 2013 through January 31, 2014. In the 11th annual IAC Awards, Biggs|Gilmore was recognized with the 2013 Top Agency Award, winning 24 IAC Awards. Their awards include 8 Best of Industry awards and 16 Outstanding awards.